The MaineSkiFamily boyz went to Sunday River today. We went in to the day planning a half-day of skiing. We knew it was going to be crowded and that conditions would deteriorate rapidly due to limited terrain being open. However, with The Bank of Maine promotion offering $29 lift tickets to Maine residents (instead of $49) it made it worth the trip. 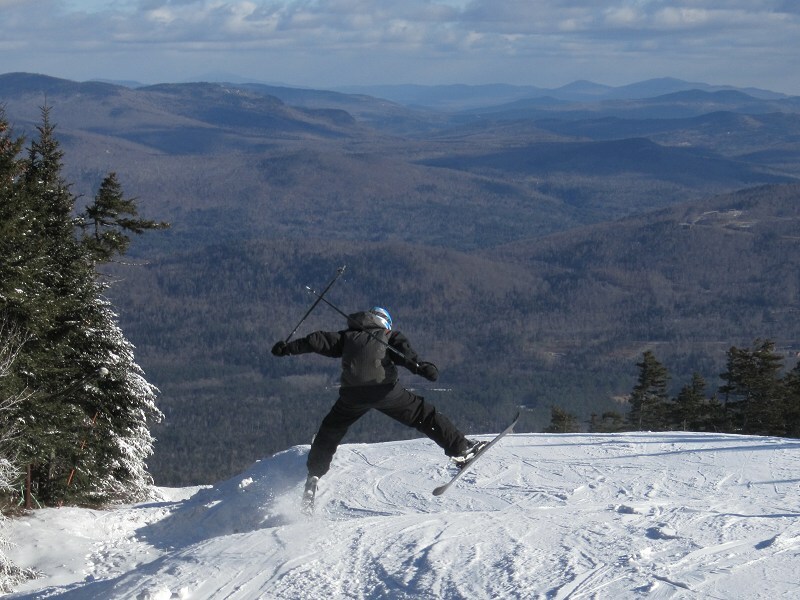 You have to hand it to Sunday River. They certainly can crank out the snow. 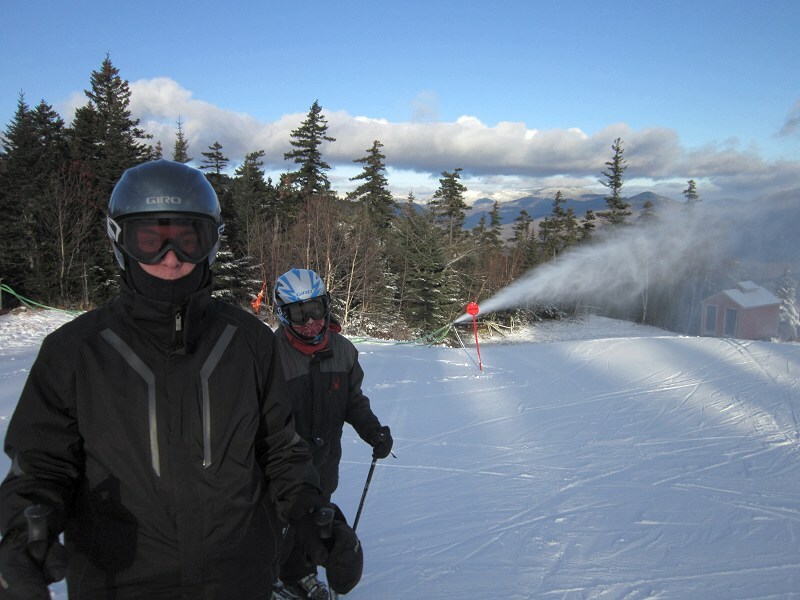 The amount of snow guns they had fired up was impressive. Everywhere we skied, we were getting blasted with man-made snow. 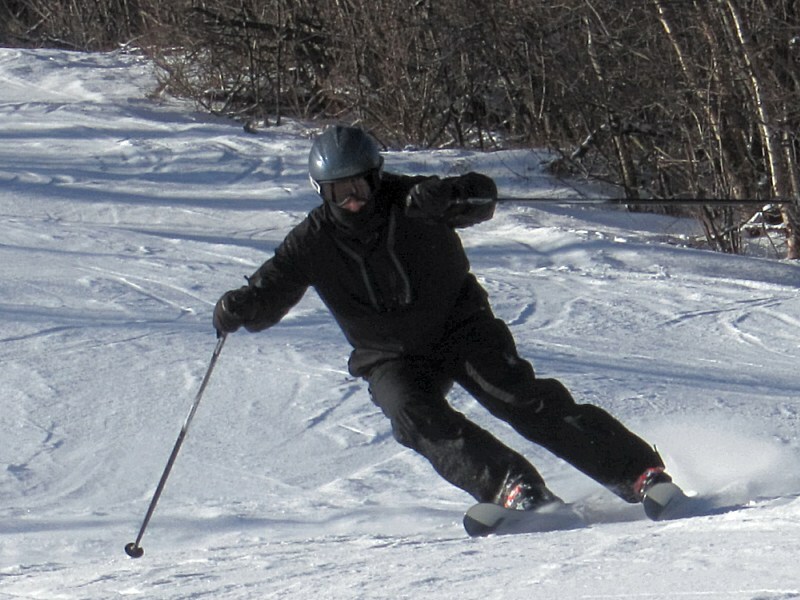 Fortunately the temperatures were pretty cold overnight so the snow was pretty light and very ski-able. The Barker lodge parking was way down the access road so we scooted over to the South Ridge lodge and got decent parking there. We spent most of the morning lapping the Barker Quad and the Spruce Triple. We clicked in at 8:30 and our first run was down Right Stuff that just had snow made on it overnight. It was ungroomed and a bunch of bumps were forming, but skied very well on our fresh legs. We tried upper Sunday punch which skied pretty well, but lower Sunday Punch was already starting to see heavy traffic and getting scraped off and icy. They were running a Slalom race on upper T2 so that trail was off limits. 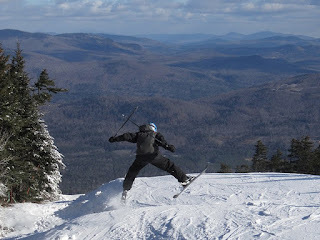 Cascades was left ungroomed and skied pretty well with some good bumps in it. We finished off the morning lapping Risky Business and that was a trail that we could rip and practice some racing turns. By 11:30 things we getting pretty scraped off and icy which we expected and we were getting tired of dodging people which we expected too. They had a pretty big crowd there today. 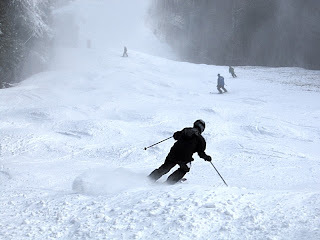 With pretty marginal winter weather up to this point, Sunday River did an awesome job getting as much open as they have. Their trail counts will go up quickly if the weather stays cold. 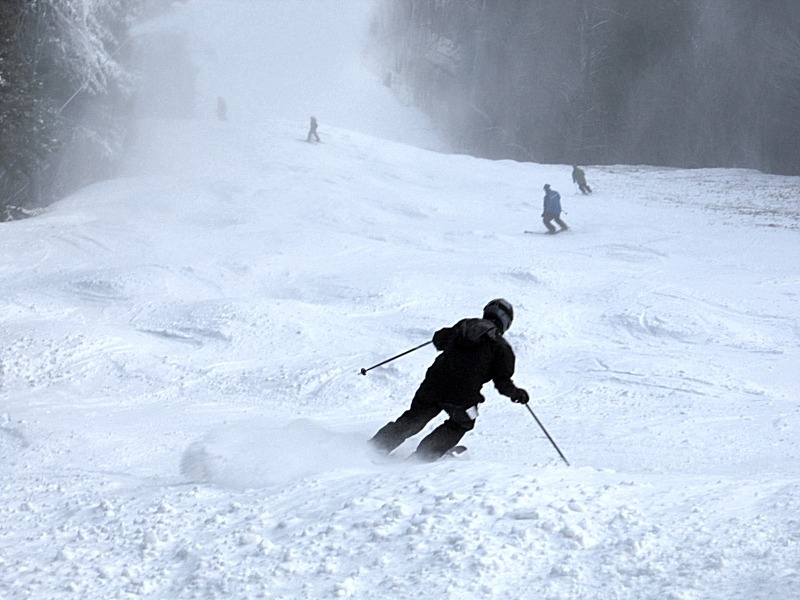 Regardless of the conditions, a day of skiing is always a good day! Always great to be outdoors enjoying some fresh Maine air. Ah yes of course the Pat's Pizza meal on the way home was good!